Students learned about reaction rates and how to increase them. 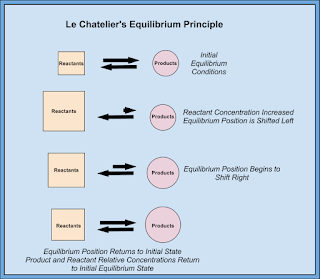 They also learned about reversible reactions and how Le Chatlier's principle influences shifts of equilibrium in reversible reactions. Basically as you apply a stress to a system, the system will shift in response to the stress. If you add one of the molecules it will shift away from that molecule. If you take away a molecule, it will shift towards it to make more. Heat works the same way. Pressure is the tricky one. 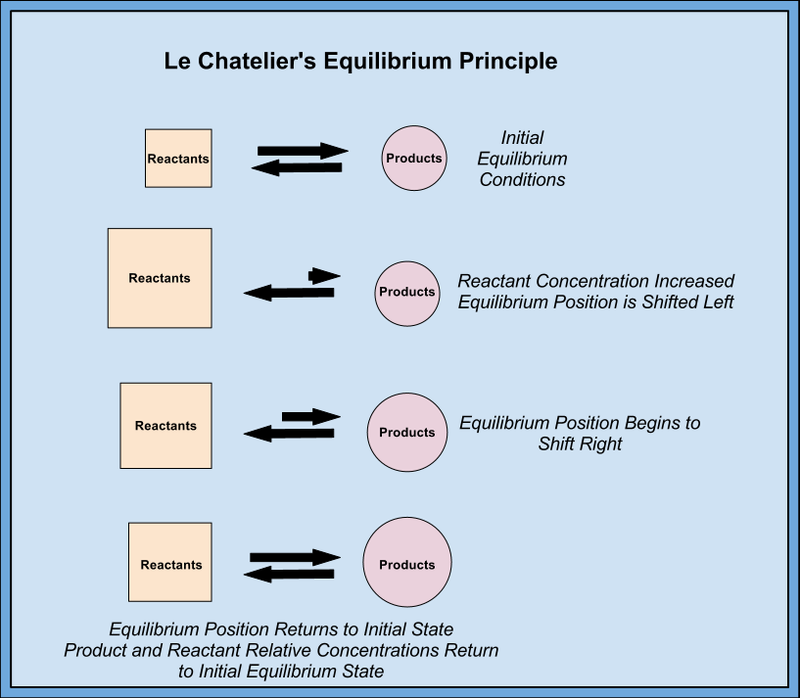 If pressure is applied to an equilibrium, then the reaction will shift to the side that has the least amount of molecules (count the coefficients).